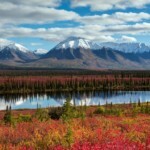 Why choose the “10-Day Vision of Alaska” adventure? If you want to see Alaska with a bit more ease in your travel, and get a vacation with your vacation – then this is your perfect tour. 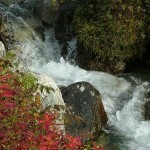 Travel at a leisure pace viewing glaciers, mountain ranges, local highlights & wildlife galore! This tour features shoulder season rates, yet includes every important area of the state to fill your senses with beauty and pleasure. Plus this tour visits Fairbanks with the option of upgrading to travel over the Arctic Circle & possibly see Northern Lights as well as a peek at the Alyeska Pipeline on the August departure. 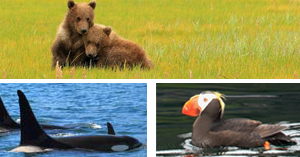 Get to know Alaska up close and personal on this fully-guided tour for all 10-days! This is the first and last tour of the season! Call a tour coordinator at (800) 580-3494 to secure your tour today!